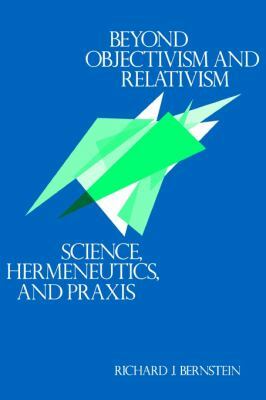 "A fascinating and timely treatment of the objectivism versus relativism debates occurring in philosophy of science, literary theory, the social sciences, political science, and elsewhere." --ChoiceBernstein, Richard J. is the author of 'Beyond Objectivism and Relativism Science, Hermeneutics, and Praxis', published 1983 under ISBN 9780812211658 and ISBN 0812211650. Loading marketplace prices 135 copies from $2.00 How does the rental process work?